How can I get my son help with no health insurance? My 33 yr old son goes to a methadone clinic and taking Xanax's with it from off the street. I'm so scared of walking in his bedroom one day and he won't be breathing. It seems like his situation is getting worse by the day. He works 10 hr shifts, 4 days a week. I don't know how he preforms his job. I know he has to of taken a great amount of Xanax's this weekend because he's been sleeping for two days, only waking about every 5 to 6 hrs and going to restroom. He has eaten very little because he can't stay awake long enough to eat. My son has lost approximately 10 to 15 lbs. within the last 3 weeks. I feel in my heart he's crying for help but doesn't have the will power to detox. I have talked to him so many times and told him I would find him some help out there somewhere if he would just go ahead an admit himself. He will agree with me then will turn right around and get so messed up he doesn't know he's in the world. My son has full support from his whole family and we're at the point don't know what else to do. I am a mother crying for help for my son and I've been told that the Tennessee law states that an adult cannot be admitted by family unless there's a suicide note or proof that he's suicidal. I know he's suicidal because I see it every day. I'd appreciate any advise you can give me that will point my son and I in the right direction. Comments for How can I get my son help with no health insurance? Your sons are in a life threatening situation. You must try to get both of them to go to a doctor with you. Ask the doctor for a referral to an addiction specialist psychiatrist in your area. A psychiatrist who specializes in addiction can help your son's get off heroin safely and get them into addiction treatment ASAP! They're likely eligible for medicaid in your state and it will pay for their treatment. Time is of the essence so please get them to a doctor as soon as you can. Addiction is disease of the brain that can be treated if your able to get them into treatment. My 26 year old twins shot up heroin. I almost lost one tonight and it's the second overdose in the last three weeks. I need help I'm so afraid I'm going to bury one of them if not both! Salvation Army always a good choice. So very sorry that you're son has a pain pill/opiate addiction. Opiate addiction is a disease that attacks the brain, and is usually fatal if left untreated. Your son has a MAJOR health issue. 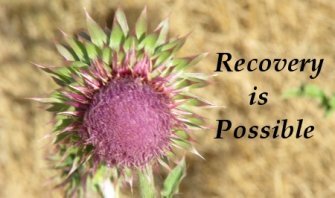 The Salvation Army addiction treatment program is almost always a great choice for addiction treatment. They have rules and standards that must be followed and your son will have to do what they say in order to stay in the program. Their program works if your son is willing to work it. I also recommend that you begin to go to Al-anon meetings TODAY. Go to at least two meetings a week and work the 12 steps. Al-anon will teach you about addiction and also help you to figure out the best way to help your son to end this terrible disease. We just found out are son is addicted to pain meds he has no insurance how can we help him? Your son is crying out for help and it's important that you take action ASAP. Drug addiction if left untreated is a fatal disease and your son is no exception. Because he goes to a Methadone Clinic, I'm assuming he was addicted to an opiate and got some kind of treatment to address that addiction. But, as often is the case, he has relapsed and is totally out of control. Usually, Methadone clinics require that the addict is in group and individual counseling. Your son should be in counseling and needs to be working toward getting off Methadone. Sadly, the relapse rate at Methadone clinics is 70-90%, so your son is not alone. First, try calling your doctor or local hospital and explaining the situation to them. Ask them for their advise as to the best treatment center available for your son. Many cities have free treatment available at the Salvation Army or with Teen Challenge (the young adult program). Once you've chosen a place for your son to go, you must convince your son to go there. Right now, it sounds like he lives with you and you need to make treatment a condition of him living in your home. When he returns from treatment, you also need to make attendance at AA or NA a mandatory condition of his residency as well. You also need to join Al-anon right away and find a good meetings to get the support you need. Many in Al-anon have been where you are now and will be able to guide you through this very challenging time in your life. Allowing him to use illegal drugs and live in your home is enabling his addiction and will likely have a very negative outcome. Please get him the help he needs. The drugs have consumed him and you're likely his last hope!